Seller Simplify42 assumes all responsibility for the listing and deleting of this ad. 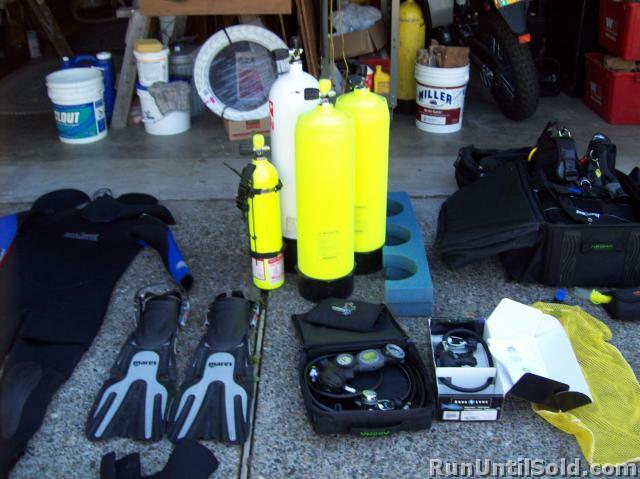 A Complete diving outfit; SeaQuest Isoflex2 wet suit, older dry suit, SeaQuest BCD with Knife and Scissors, ISO9001 Vyper dive computer, compass and depth gauge, 2 Aluminum 80 tanks, 1 Steel 120 tank, 1 Steel Pony w/2 DIN Tank valves and a new aqualung regulator. 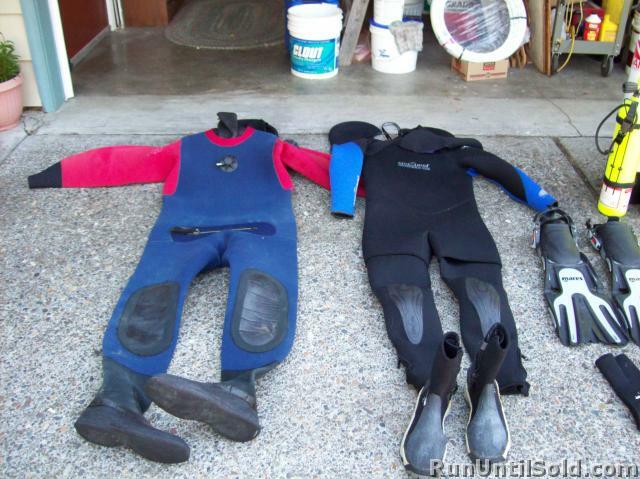 Large SI Soft Boots, Gloves and 3 Hoods 1 M and 2 L. PanView Goggles and snorkel with mask defog. Cannon Light eLED UK with a SL4 sun light as well. Fish hanger, crab gauge and calf knife. Signal tube, night light, underwater writing board w/pencil. 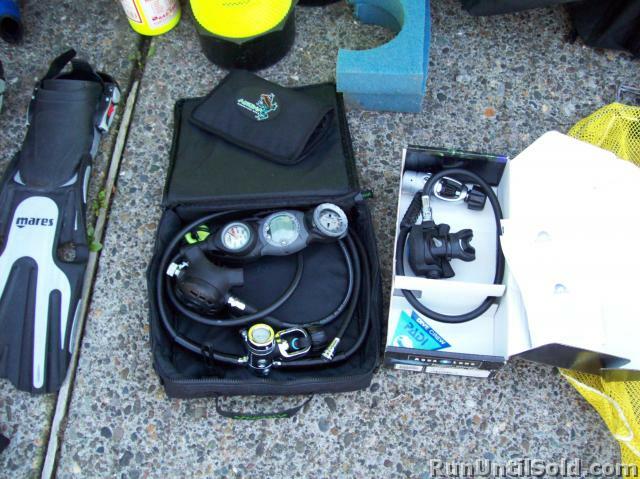 Oronasal resuscitation mask, safety backup kit and Mare fins. 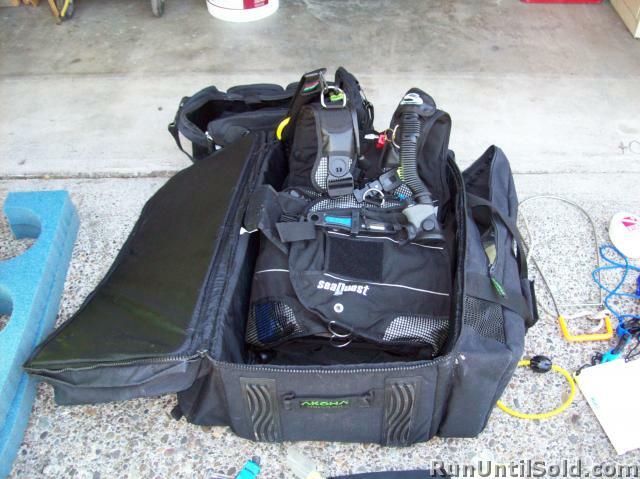 Large back pack carry bag and 2 smaller bags, 2 plastic drying hangers for gear with all my books and DVDs. And much more not listed. Fits 57" to 510"